The Chinese banking system will have a stable outlook over the next 12 to 18 months amid a steady operating environment, according to a report released by credit rating agency Moody's. 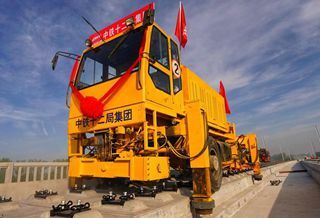 The stable assessment took into account China's continued economic growth, which benefited from more accommodative policies and a transition of the economic structure to higher value-added sectors, the report said. Yulia Wan, a Moody's analyst, said China had shifted toward more accommodative policies, balancing the effort between advancing deleveraging and sustaining growth. "This situation will result in an operating environment over the next 12-18 months that is broadly supportive of bank credit quality and stable asset quality," Wan said. The agency's baseline scenario assumes GDP growth of around 6 to 6.5 percent in the next few years, which should support steady growth in bank loans. Government support for major banks will remain strong in China to keep public confidence and systemic stability, the report said. Moody's rates 27 banks in China, of which 24 are commercial.